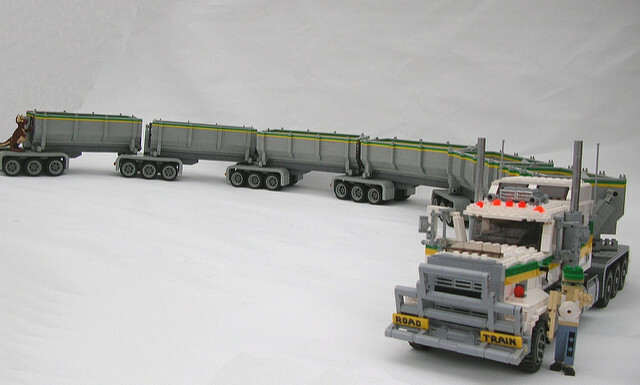 British builder Ed Diment (who you may remember for his 22ft long model of the USS Intrepid) worked with TBB’s own Ralph Savelsberg – a master of Miniland scale brick-built vehicles – to create this awe-inspiring Australian road train. If you’ve ever done the great Australian road trip, you may have run into one of these behemoths bombing down the long lonely highways between the country’s major cities …and then wondered how on earth you were gonna safely overtake it! 86 wheels and my favorite part is the kangaroo. Nice work! 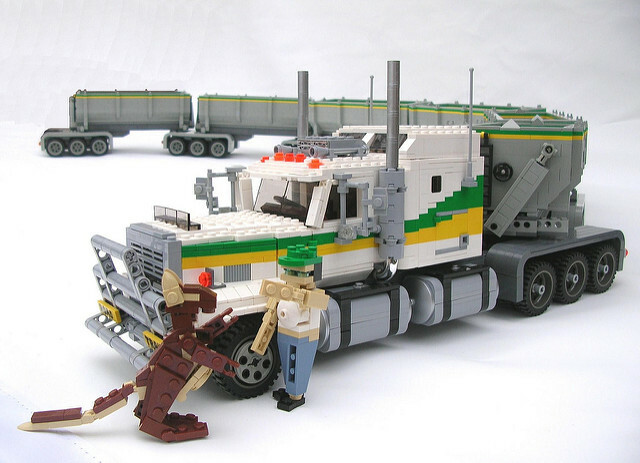 Miniland Kangaroo… Can’t say I haven’t seen that before!